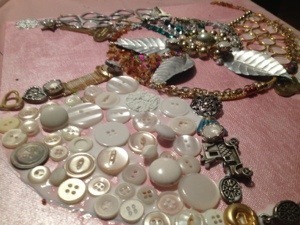 I gave away my old jewelry and buttons a few months ago, of course I need them now, sigh. 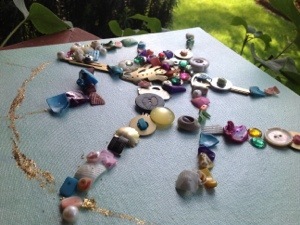 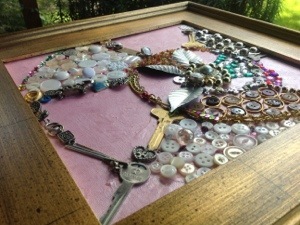 My artist/friend Betty K. has inspired me to create bling assemblages with “pretty” junk, so I have been visiting antique/flea markets scouring the broken jewelry cases and displays. 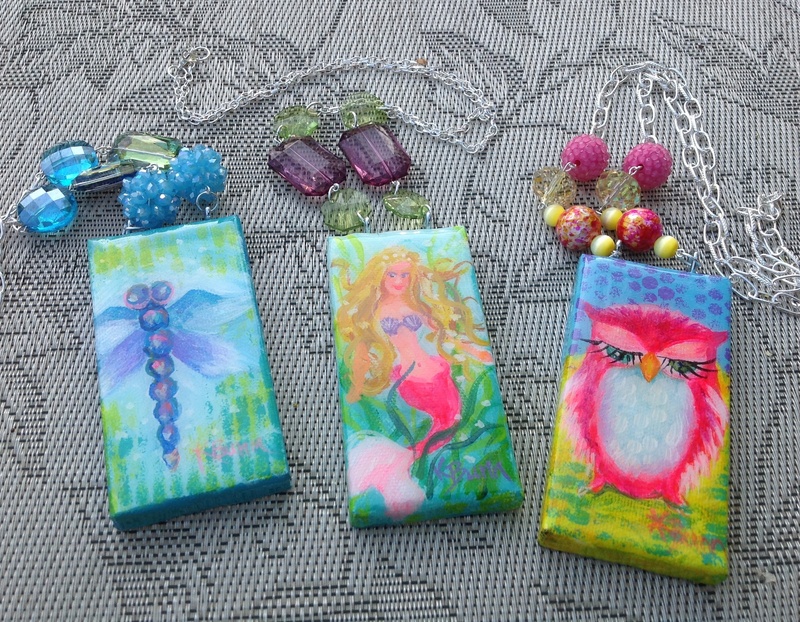 Sometimes I come away with some finds and sometimes I leave with lots of sneezes. 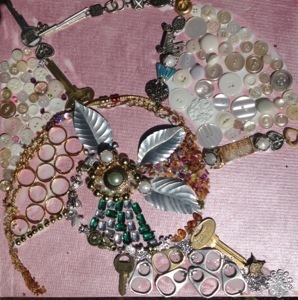 Last week I finished my first bling assemblage and started my second one, the second one includes tiny shells and jewelry. 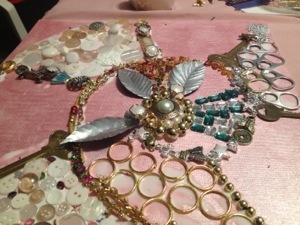 I am hooked on bling junk now, thanks Betty K.
New work in progress! 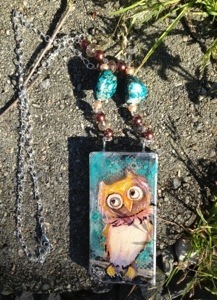 Created with jewelry, keys, beads and junk! 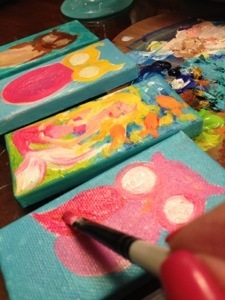 Turning it into a treasure. 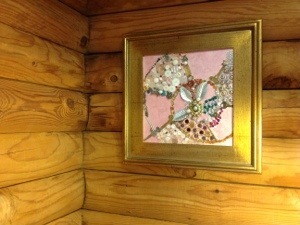 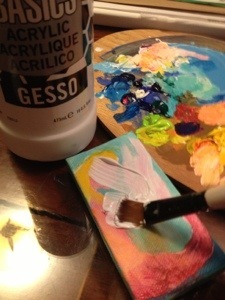 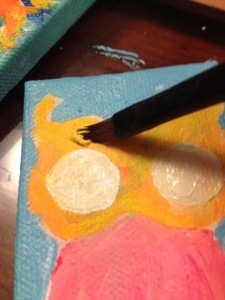 I am excited to introduce my newest painting you will find it a bit small, but you can wear this canvas. 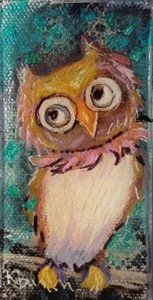 I’ve painted a mini owl on 2″x 4″ canvas. 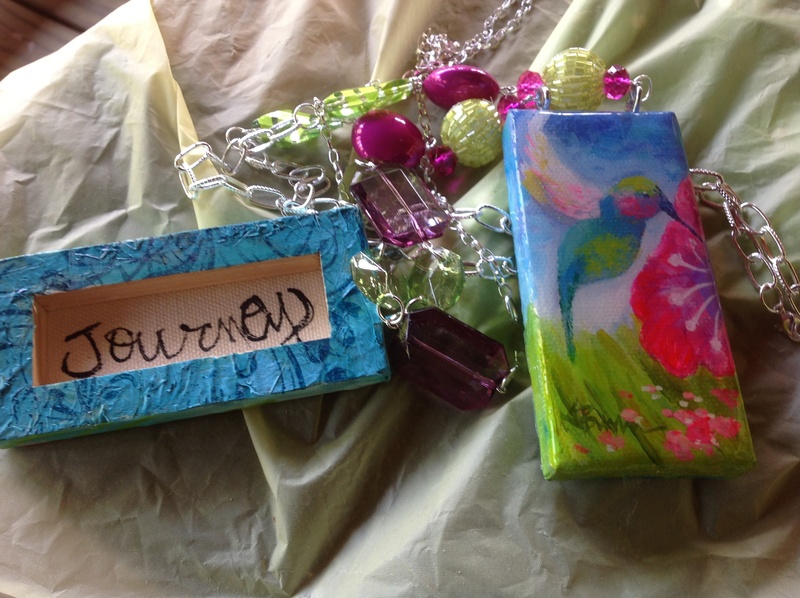 Thanks to my good friend and jewelry designer Faye and to my hubby. 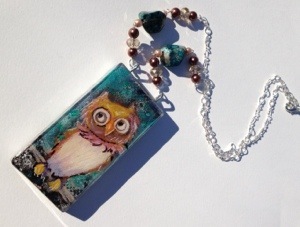 Faye designed the necklace and my husband poured the acrylic protective coating. 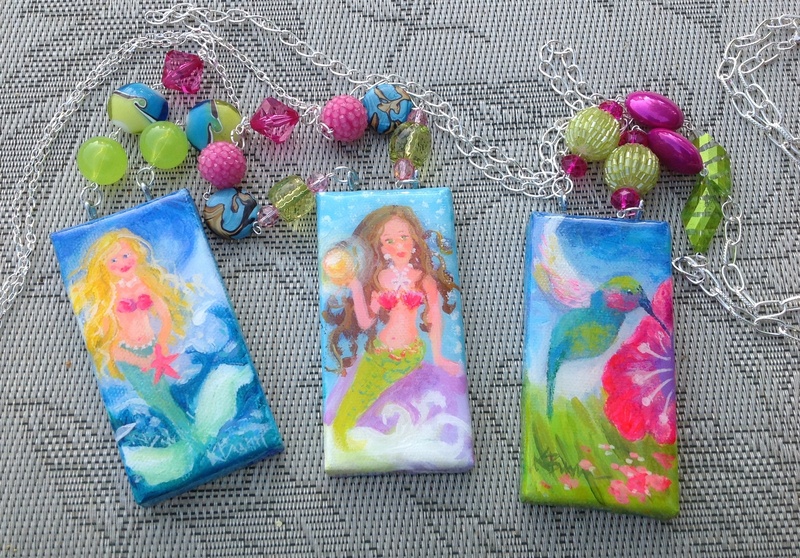 I am creating some mermaid wearable art as well. 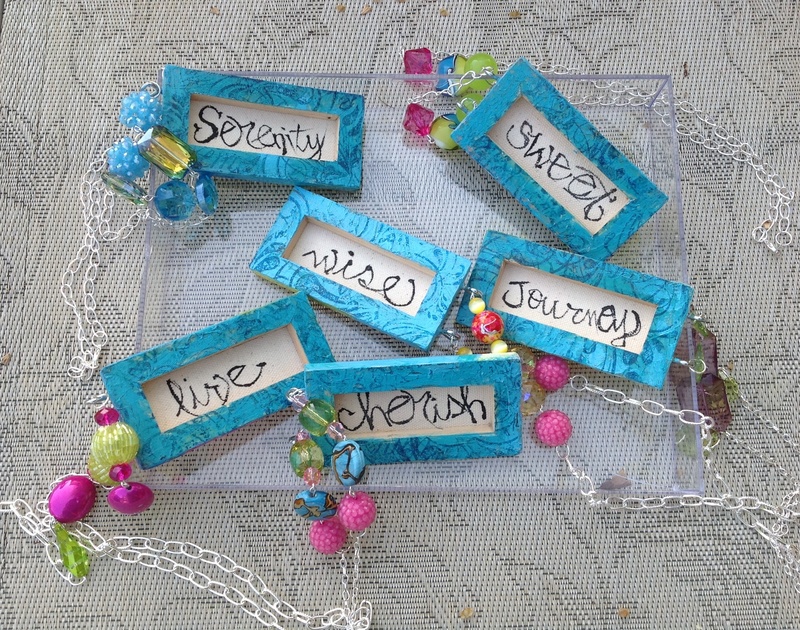 These would make unique Mother’s Day gifts.